England's Uncapped: Who Are They? 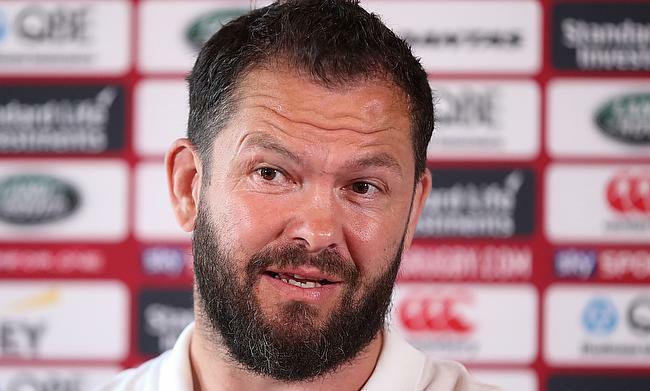 Ireland defence coach Andy Farrell has rejected an offer from the Rugby Football Union to join Eddie Jones' backroom staff according to reports. The red rose team are on the lookout for a defence coach ever since Paul Gustard stepped down to take in charge of Gallagher Premiership club Harlequins earlier this year. According to a report in Daily Mail, it is learnt that the England board had shortlisted Farrell for the role but the 43-year-old turned it down and wants to continue his current role with Ireland after signing a contract until 2020 with Irish Rugby Football Union. Farrell, who started his coaching debut with Saracens as an assistant coach in 2009 became the defence coach of England in 2011 and was sacked by the Rugby Football Union following the team's dismal performance in the 2015 World Cup under Stuart Lancaster. He also has the experience of working as the defence coach of British and Irish Lions under Warren Gatland during the 2013 and 2018 tours of Australia and New Zealand respectively. With Farrell ruled out of the assistant role under Jones, it is understood that ex-All Blacks coach John Mitchell is the front-runner to take Gustard's position. England are scheduled to face South Africa, New Zealand, Japan and Australia in their autumn international campaign in November at Twickenham Stadium.